Bhai Mewa Singh Ji came to Canada in 1906, a time when thousands of new Punjabi Sikh immigrants were coming to Canada looking for greener pastures and a better life. Like many Sikh pioneers, Bhai Mewa Singh was employed in the lumber industry and worked at Fraser mills. In his spare time Bhai Mewa Singh Ji used to do seva at the Gurdwara. Bhai Mewa Singh Ji arrived in Canada at a time when racism against non white immigrants was at its peak. As a newcomer to Canada his experience was less than welcoming. Local newspapers portrayed the early Sikh immigrants in a negative fashion. The new Sikhs were refused rental accommodations and were not allowed to purchase food by local grocers. No social organizations endeavored to help the Sikhs. Local politicians were even spewing venom against the Sikhs who were British subjects. In addition to this, in 1907 Bhai Mewa Singh Ji witnessed the taking away of voting rights from Sikh immigrants by the legislature in British Columbia. Like many Sikhs of the time Bhai Mewa Singh Ji witnessed the anti-asian riots of 1907. In 1908 Bhai Mewa Singh Ji also lived through the Canadian government’s mischievous plan to rid Canada of all new Sikh immigrants by sending them to the British Honduras. In that same year Bhai Mewa Singh Ji witnessed the implementation of the Continuous passage law and the hardships it caused Sikhs who were planning on bringing their families from India in hopes of starting a new life in Canada. The infamous continuous passage law had effectively banned all immigration from India. The negative attitudes of the press, the public and the politicians in addition to anti-Sikh immigration policies of the Canadian government had a negative effect on the local Sikh population. After 1908 the Sikh population of British Columbia started to rapidly decline. By 1910, a population which had reached around 6000 in 1908 was reduced to about 2200. Despite these unsavory experiences of racism and hostility, Bhai Mewa Singh Ji decided to stay in Canada. 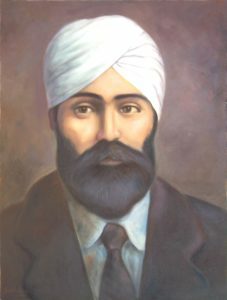 He – like many other Sikh immigrants of his time – worked hard and made a positive contribution to the development of British Columbia. After a few years of relative calm, the infamous Komagata Maru incident occurred. Bhai Mewa Singh Ji was reminded of how racist and intolerant Canadian society was. It must have been difficult for him to see would-be Sikh immigrants who were also British subjects not being allowed to domicile in Canada which was part of the British Empire at that time. For Bhai Mewa Singh the turning came on September 5th, 1914 when he witnessed a man named Bela (who worked as an informant for the Canadian immigration department) enter the Gurdwara on West Second Avenue, and shoot two devout Sikhs: Bhai Bhag Singh and Bhai Battan Singh. Bhai Mewa Singh like many Sikhs was devastated by this event. Soon after this Bhai Mewa Singh Ji started receiving threats from inspector Hopkinson and his East-Indian agents. He was threatened that if he didn’t give testimony in favour of Bela that he would also be murdered just like Bhai Bhag Singh and Bhai Battan Singh. However, Bhai Mewa Singh Ji didn’t waver; he testified in court and spoke the truth. He told the court that Bela had shot Bhai Bhag Singh Ji and Bhai Battan Singh Ji from behind without any prior provocation. After giving this testimony Bhai Mewa Singh Ji was threatened once again by a mole named Babu who worked for inspector Hopkinson. This time the threat was even more severe. Bhai Mewa Singh was told that the next time he was seen walking the streets of Vancouver that he would be shot dead. Hearing this threat infuriated Bhai Mewa Singh. Mewa Singh thought that not only were his country men and he being severely oppressed in Canada they were now being told that they didn’t even have the right to speak the truth. It was then that Bhai Mewa Singh decided to die a death of a martyr rather than to live the life of an oppressed person. Bhai Mewa Singh held inspector Hopkinson responsible for the murder of the two Sikhs in the Gurdwara because the killer was working as a mole for Mr. Hopkinson. Mr. Hopkinson was to appear in court on October 21, 1914 to testify in favour of the killer Bela. Bhai Mewa Singh Ji went to court that same day and shot and killed Mr. Hopkinson. After shooting Mr. Hopkinson, Bhai Mewa Singh dropped his weapons and surrendered to the authorities. Bhai Mewa Singh Ji was put on trial for the murder of Mr. Hopkinson. The presiding judge found him guilty and Bhai Mewa Singh Ji was sentenced to death by hanging. My religion does not teach me to bear enmity with anybody, nor had I any enmity with Mr. Hopkinson. He was oppressing poor people very much. I, being a staunch Sikh, could no longer bear to see the wrong done both to my countrymen and the Dominion of Canada. This is what led me to take Hopkinson’s life and sacrifice my own life. And I, performing the duty of a true Sikh and remembering the name of God, will proceed towards the scaffold with the same amount of pleasure as a hungry baby goes towards his mother. 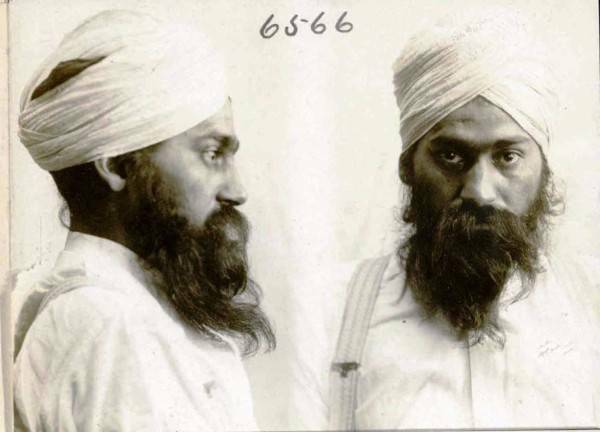 On January 11, 1915 at 7:45 am Bhai Mewa Singh Ji was executed in New Westminster. Four hundred Sikhs stood outside and braved the rain and cold weather to receive Bhai Mewa Singh’s body. They took out a procession through the city and cremated Bhai Mewa Singh’s body at the Fraser Mills with great pride and honour. Sikhs have continued to celebrate the legacy of Bhai Mewa Singh every year since 1915. The Khalsa Diwan Society – Vancouver and other organizations across British Columbia are proud to hold events every year in the memory of Bhai Mewa Singh Ji.